Why should you consider a virtual office in San Jose with Pacific Workplaces? So you can affordably and effectively establish a strong business identity, with all the back-office services to support your business, for much less than the cost of full time office space. You can establish your first virtual office presence with our Mail Plan for only $69 per month. Yes, $69/mo. is all it takes to obtain your own downtown San Jose address with mail collection, and use of the address for your business cards and website. The Mail Plan gives you a professional business address at 111 N. Market Street, Suite 300, in San Jose, just steps from San Pedro Square. Just come on by to pick up your mail, or add the option to receive mail alerts for only $29/mo. With mail alerts we will email you to let you know you have mail, then you respond to let us know if you want us to scan the mail to you, forward your mail, shred it, or keep it in your mailbox until next time you are at the office. 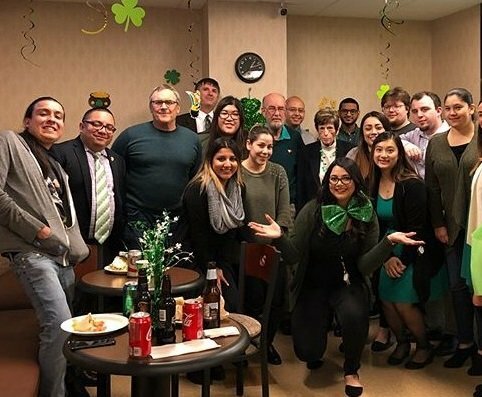 Your home office or main office might be in Los Angeles or Seattle, but for only $69 per month you can have a branch office space in San Jose. For $69 a month you get tremendous value. Imagine setting up your shared office space for less than $100 per month. If you need more than the Mail Plan, why not add live phone answering to your San Jose Virtual Office? Professional phone answering is included with our “On The Go” solution for only $70 more, or $139 per month. Easily obtain a 408 area code, or any other nationwide area code you would like. Our professional receptionist staff will personally answer your calls, then transfer the caller to you (and announce the caller to you), or put the caller into voicemail. For $219 per month, or only $80 more than our “On The Go” plan, you can utilize our “V-Office” Solution. This V-Office Plan enables you to use our day offices and meeting rooms in San Jose on Market Street by granting you 20 credits per month. The day office can be reserved for 1 credit per hour, which gives you 20 hours per month of shared office space. The bigger rooms cost more credits per hour. Need to seat 16 attendees? 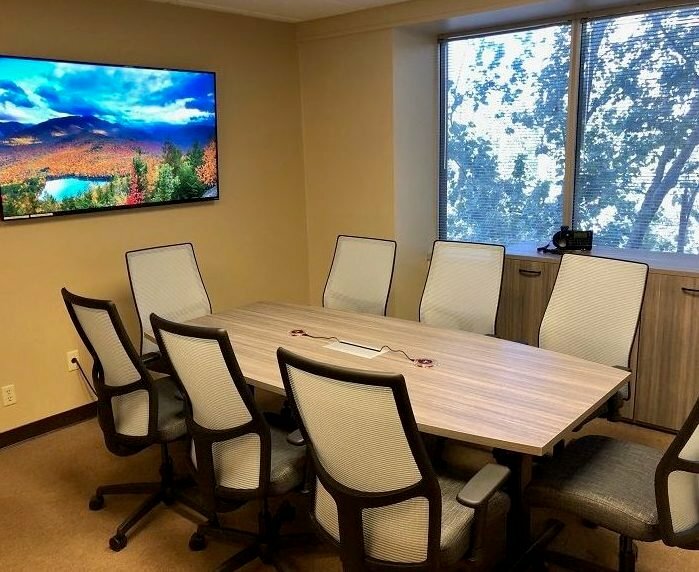 Our Superior Boardroom is a great meeting space with 65” TV on the wall, large whiteboard, and Apple TV for sharing your desktop. There are also at least 4 other meeting or conference rooms to choose from. Wonder how we compare to a Regus shared office space in San Jose? We do compete with Regus, however, we are not afraid to be completely transparent about how our prices and services compare. See the Pacific Workplaces versus Regus price comparison in downtown San Jose here. 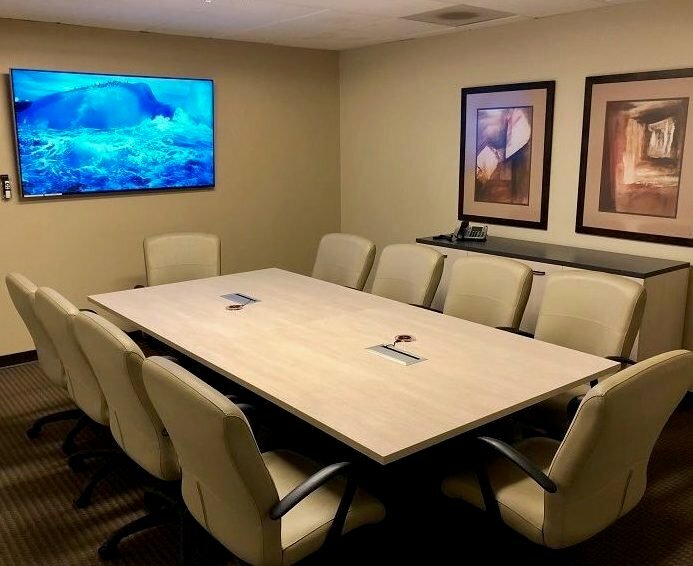 While you are there, check out how our Yelp and Google reviews compare to Regus in San Jose, CA. 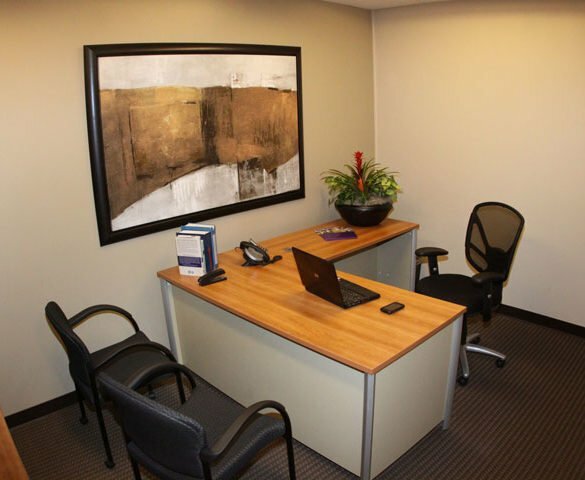 We are convinced that the right place for you to establish your virtual office in San Jose is at Pacific Workplaces!